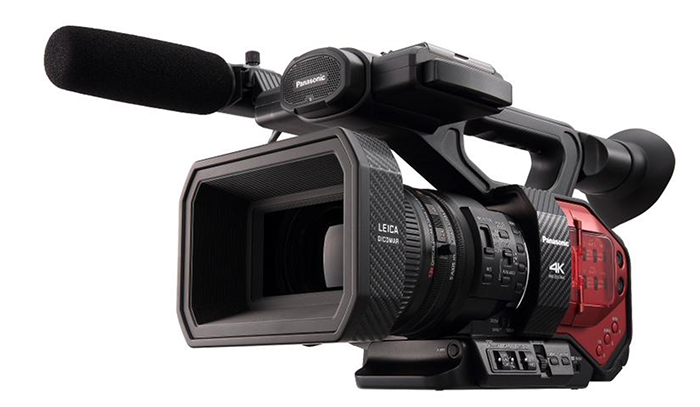 Panasonic undoubtedly has a lot of hopes for their DVX200 4K camera. The re-incarnation of the legendary DVX100, which was the first digital camcorder to feature progressive recording in 24 frames per second making it hugely popular with documentary and corporate filmmakers right about 7-8 years ago. It took a long time for Panasonic to devise the successor, and surely the Panasonic DVX200 has big shoes to fill. I have already shot with the camera and posted my findings so far here and also my first impressions with footage here. The DVX200 is an all-on-one package, but rather unique in the sense that it combines a 4/3 CMOS sensor (same size as in your Panasonic GH4) and a fixed 13x Leica zoom lens. Dual XLR inputs and other popular image monitoring functions such zebras and waveform are present. V-Log L is also built into the camera giving a manufacturer stated 12 stops dynamic range. However, recently there has been a lot of complaints from the community as to the picture profiles on the camera and some serious doubts as to its ability to produce faithful and lifelike images via the Scene 1 – 6 custom files. In order to address this issue, Panasonic just released firmware update 1.25 with the following improvements. • New mode (Fast Scan) is added to 4K/24p, UHD 29.97p, UHD 23.98p and UHD 25p. Correction of ISO gain value display in High-sensitivity mode. I never noticed too much rolling shutter in the little time I had to spend with the camera, but having a faster readout is always a welcomed addition. I did however find that at higher ISO’s particularly above ISO 800 the blacks and shadows get too noisy for my taste. I was fortunate to shoot in 4K and in V-Log, which helps in post as when you can bring down the blacks and also when exporting to a 1080p file compress that noise to a minimum, however with better noise performance in those areas, the DVX200 should benefit mostly those who shoot in the backed-in Scene files. Okay, time to break the news. There is a reason I haven’t spent much time at all on scene files and the like, and that’s going to be revealed on 11/16. There’s a new firmware update coming for the DVX200, and it makes some rather notable changes in color rendition. The new version is said to be more accurate to the Varicam in VLOG-L, and in all cases it’s supposed to reduce the yellow in the skin tones and especially to greatly reduce the shift to yellow that happens in overexposure. It also is going to substantially clean up the grit that can happen in the shadows. And there’s another feature they’ve mentioned that they’re adding, but since it doesn’t directly have to do with color rendition, I’ll leave them to say what that is. I don’t know if there will be any changes to the default scene file settings I sincerely doubt that the default settings are going to yield glorious beauty. But the way the sensor delivers color to the processing engine is being refined. Better input should lead to better output. I do feel like finally, this new version of the firmware will represent the camera the way that it should be viewed, and that with proper attention to scene file settings, it should be able to make the kind of images that the hardware is capable of. I’ll work up an “accurate” scene file for it right away; I’ll also try to match it to a GH4 using the “natural” scene file on the GH4, but I can’t say how quickly that will get done. I currently do not have access to the camera, but as soon as I do I’ll test the new firmware. If you own a DVX200, you can download Firmware 1.25 directly from Panasonic here. Here’s is also some new DVX200 footage by Nick Driftwood. Panasonic AG-DVX200 Camcorder h264 30p 4K ‘Street’ from Nick Driftwood on Vimeo. Just got the Panasonic DVX200 so I thought I’d take it straight out of the box and record something without learning too much about it. Of course, over the next week or so I hope to have a better understanding into what this camera can do, but so far I’m rather impressed with it. Once again, I’ve chosen to shoot this quick test down one of my favourite catwalk street haunts in Brighton. My model is none other than actress Arabella Gibbins who stars in my next film Swim to Land (yes, its finally in post!). Music by Nick Driftwood. The AG-DVX200 is the world’s first* 4/3-type large format camcorder with integrated zoom lens and sports 12-stop V-Log L DR. I’ll be testing high-quality, multi-format (4K/24p, UHD/60p, FHD/60p) recordings in the next video, plus, attaching a Convergent Design Odyssey 7Q+ and a Atomos Shogun Assassin to see how 10-bit 422 recordings work out. The AG-DVX200 also features a number of high-end functions to meet video production needs, including Full-HD, 120-fps Variable Frame Rate(VFR) shooting and dual codec recording. And it integrates a newly developed LEICA DICOMAR 4K 13x zoom lens. High-speed, high-precision full-auto functions and professional-level manual functions provide operating ease and mobility that are possible only from a lens-integrated body. I rather like the crimson red and carbon-black textured finish to it’s body – it certainly turned some heads! This recording is internal 8-bit 4:2:0 to SD Card at 29.97 fps and Im rather pleased with the h264 codec results so far. If you are considering the DVX200 for you productions, you can support us by ordering your the camera via the affiliate links below at absolutely no extra cost to you (we just get a small commission, which helps us keep the blog going on a daily basis).